Husqvarna's passion for innovation has led to a long line of successful products. 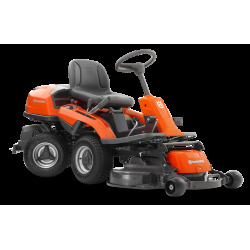 Husqvarna Riders, ride-on mowers, are the perfect example. 30 years of perfecting an idea - pushing it from one pioneering breakthrough to the next - has turned Husqvarna Riders into the flexible, innovative machines they are today. 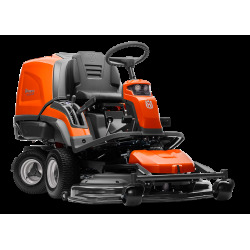 With the front-mounted cutting deck and articulated steering, it's hard to find places where a Husqvarna Rider isn't able to reach. 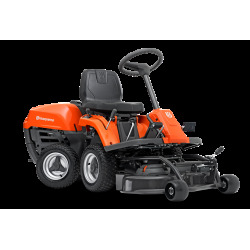 The combination of control, comfort and efficiency will not only make your work easier - you'll also enjoy the ride. 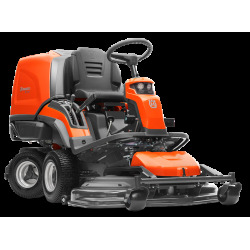 All ride-on mowers use Husqvarna's patented Bio-Clip® feature which produces a superior mulching result and an exceptional professional finish.